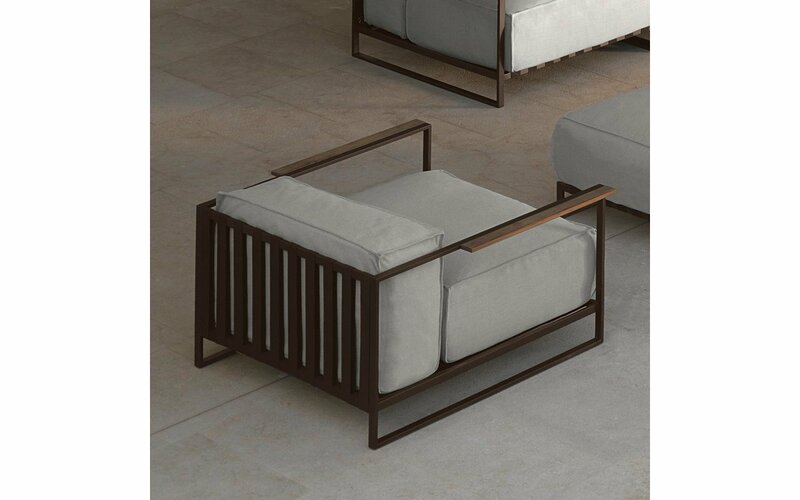 Bring luxury, comfort and contemporary good looks to your outdoor living space with the Casilda Armchair, which continues the design of the modular sofa, in a stylish chair complete with armrests trimmed ins Iroko wood or titanium travertine or silver travertine. 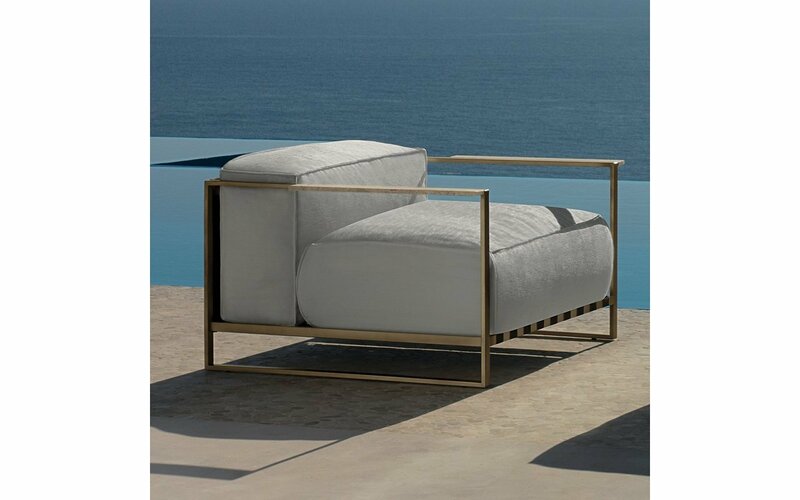 Designed for practical outdoor conditions, the Casilda Armchair combines the hard-edged good looks of powder coated stainless steel frames in pared back, minimalistic designs, softened and humanized by the large, deep, soft seats and back rests which makes this so very comfortable and enjoyable to sit in. 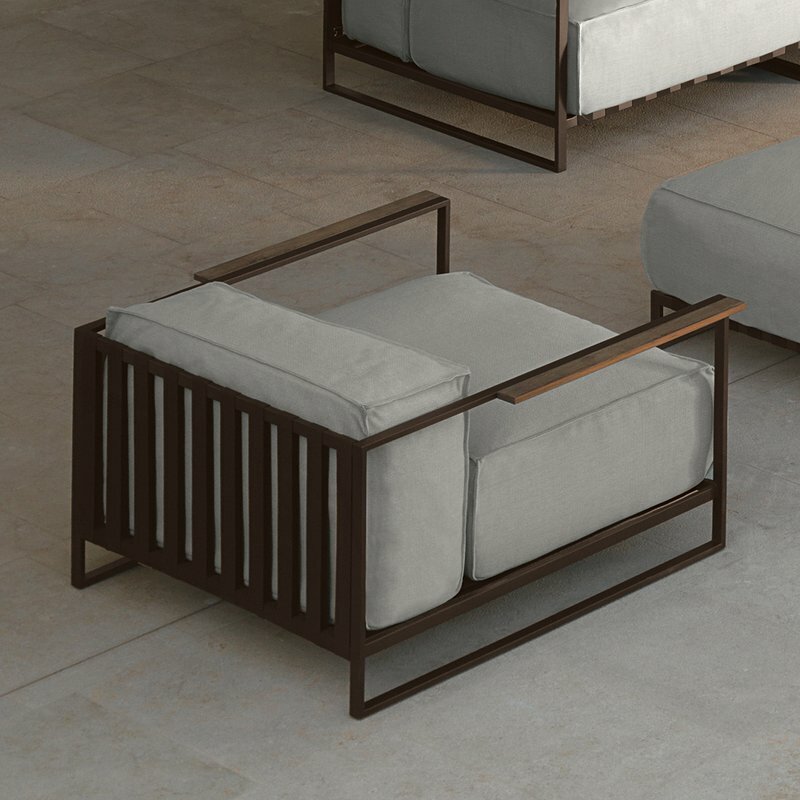 The unique fabric of the cushions is very hard-wearing, weather resistant and removable for ease of cleaning. The cushions are all quick drying foam.